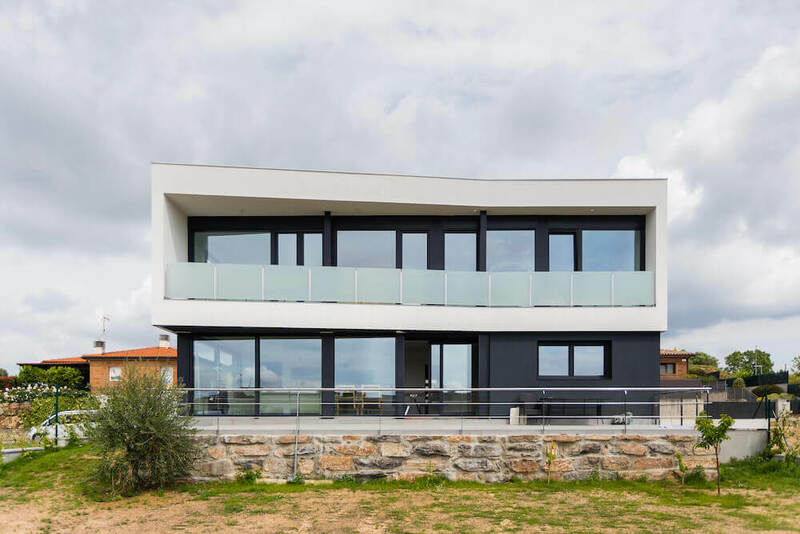 When you take a look at Jordi and Beatriz’s smart home there are certainly a lot of words that come to mind: stunning, beautiful, any superlative you want really. However, if you look a little deeper words like seamless integration and technological brilliance might start to pop into your head. 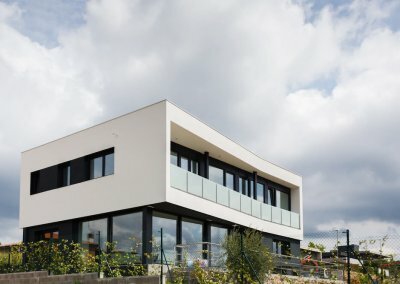 Their home is the epitome of a Real Smart Home. 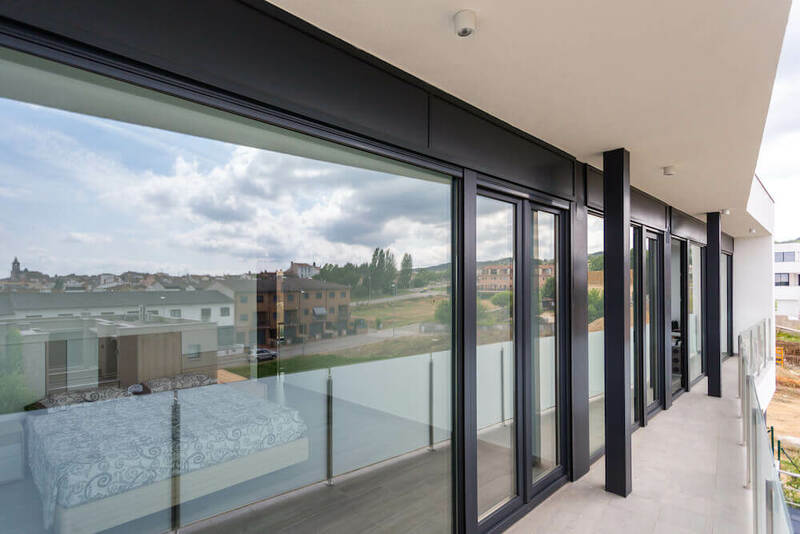 Not only does Loxone bring out the stunning aesthetics of the property with our beautiful lighting, Loxone enables this house to be a fully automated smart home which is completely personalised to Jordi and Beatriz’s liking. 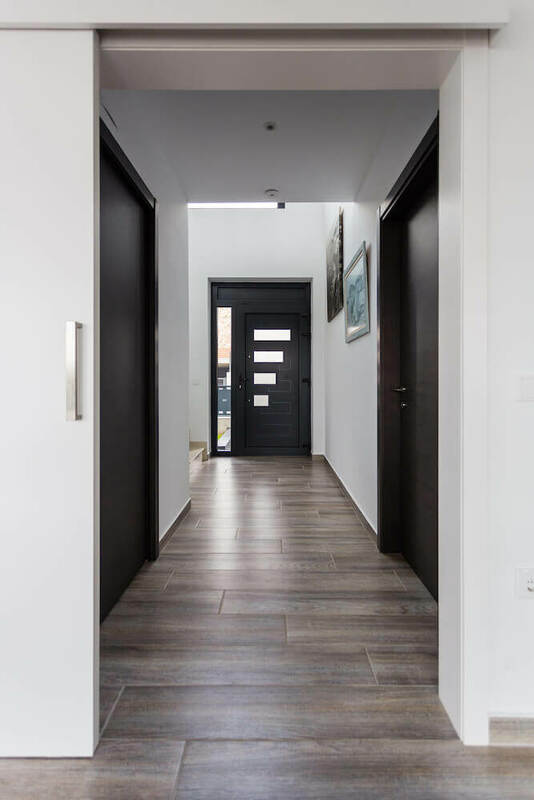 The home has been entirely built with Loxone Tree technology which meant that the wiring and installation process was smooth and painless. Jordi is actually one of our Spanish partners. He created his company HabiTech with the goal of transforming conventional homes into Loxone Smart Homes. Due to a combination of his excellent skillset and our brilliant products, there was a massive demand for HabiTech. This resulted in Jordi becoming a Gold Partner, from scratch, in a matter of months. 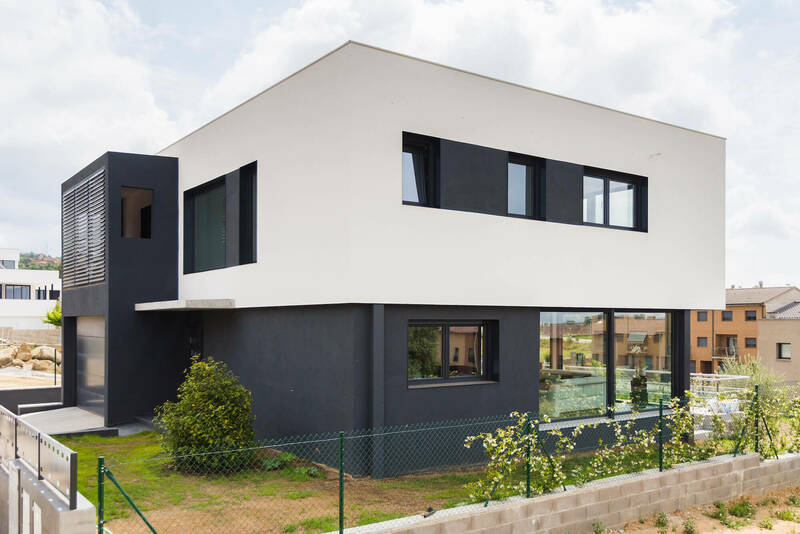 After helping so many people convert to a smarter lifestyle, Jordi decided that it was only natural for him to install Loxone in his own home and hence this masterpiece was created. 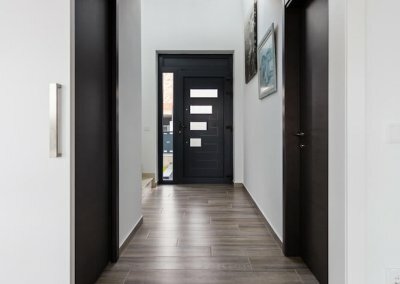 When you enter the main room of the house, which is a combination of the living room, dining room and kitchen, it can appear at first glance as if there are no blinds whatsoever. 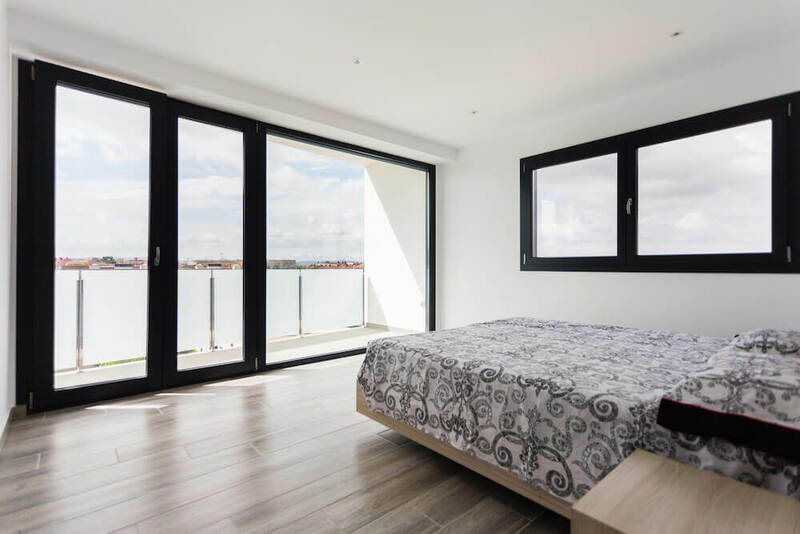 Floor to ceiling glass panes ensure that this room can be flooded with natural light when desired. This helps the room feel incredibly spacious and fresh. So much so that even the wonderful photos we have don’t truly do the room justice. 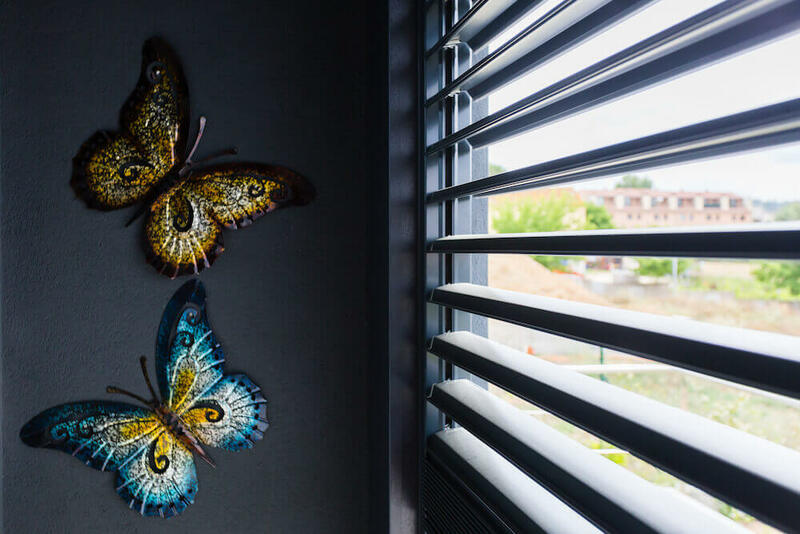 Jordi and Beatriz opted for Venetian blinds so that they could get maximum functionality out of the intelligent shading features of their Loxone system. In the summer, direct sunlight can become overwhelming. However, they need not worry. If this happens, the slats are automatically adjusted to stop the penetrating glare of the sun yet still keep the room adequately lit. 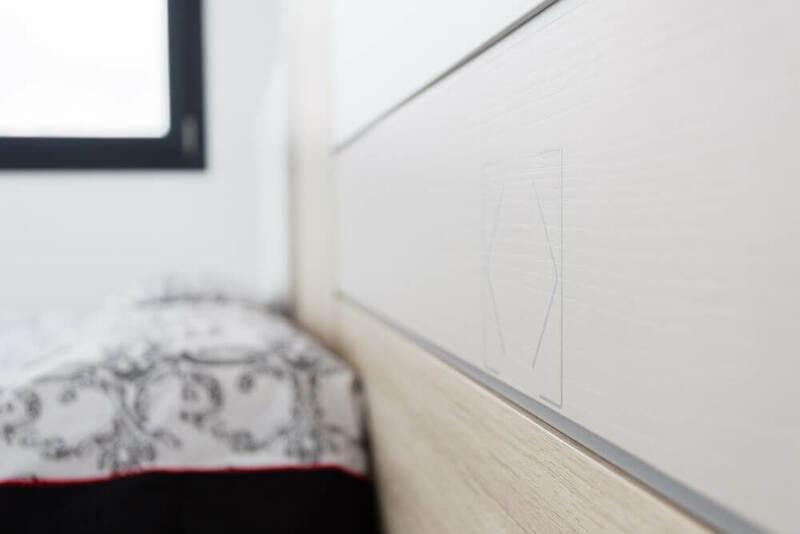 As parents of young children, security was crucial for Jordi and Beatriz when it came to designing their smart home. They certainly cut no corners and thus have a home that is now constantly looking out for them. 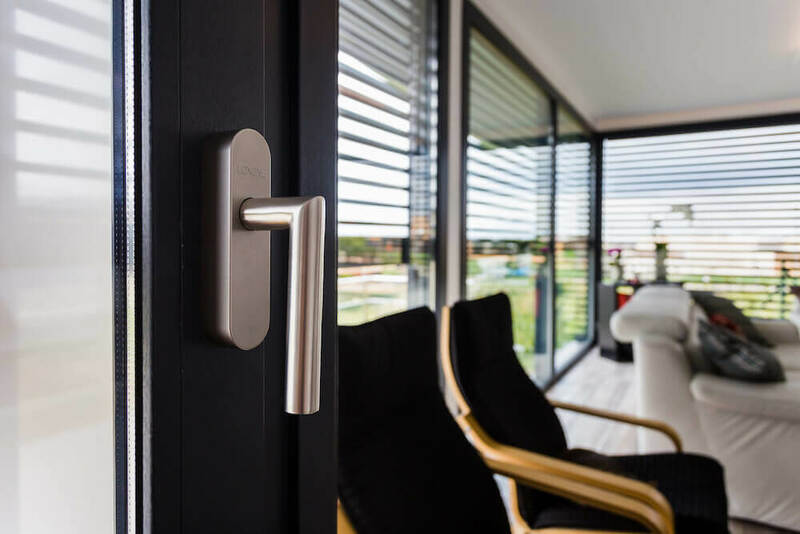 Intruder alarm: the home has multiple layers of protection such as: motion detectors, window and door contacts and even integrated door handles. 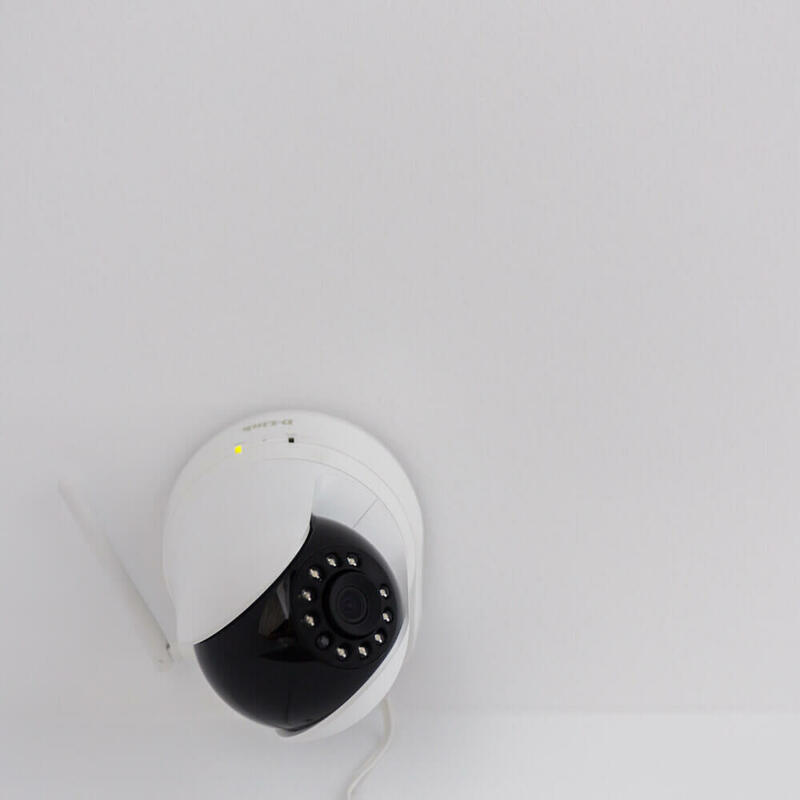 This means that intruders can be detected 24/7, even when no one is at home. If that happens the family will be alerted immediately. 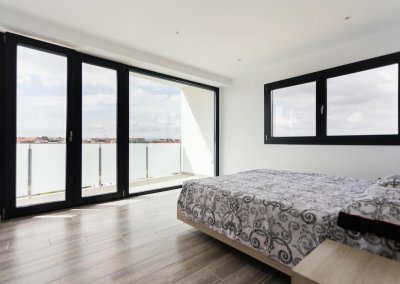 Flood and fire alarms: these types of alarms help you act quickly in the event of any incident, which might just help prevent significant damage. The home has water detection sensors in the kitchen and bathrooms, with smoke detection sensors in the passageways and garage. 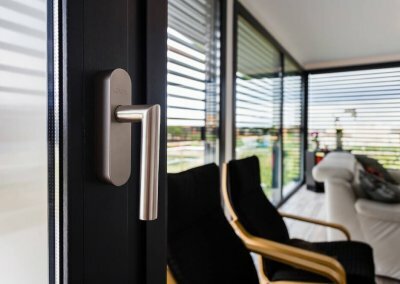 Door handles: not only can these tell you if a door is open or closed but these smart door handles detect glass breakage. If the door detects a significant impact the alarm will sound. 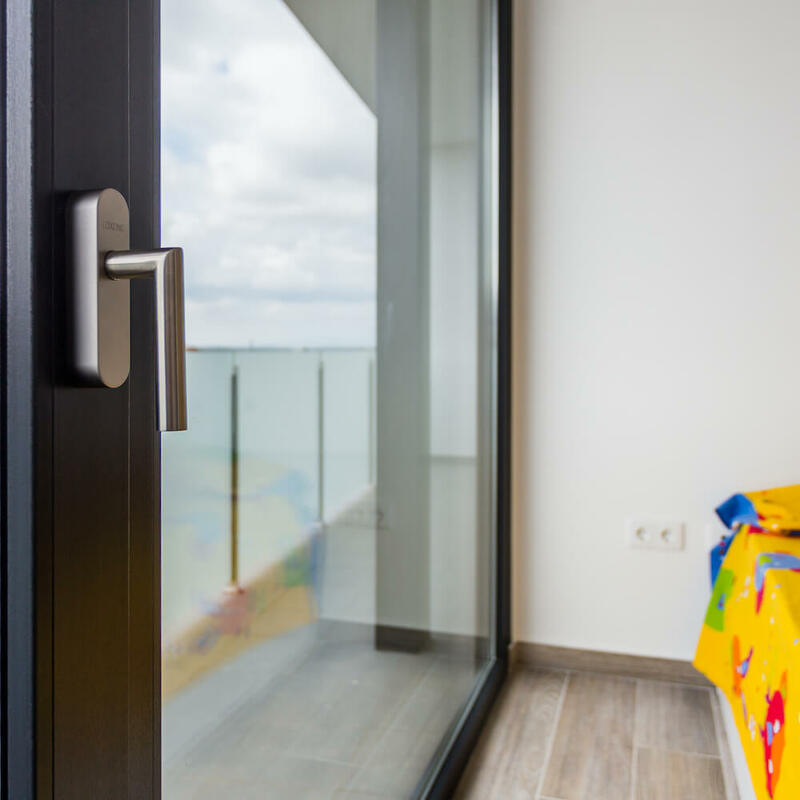 Also, as the children’s bedroom has access to the balcony, the home will alert Jordi and Beatriz whenever one of their doors is opened. 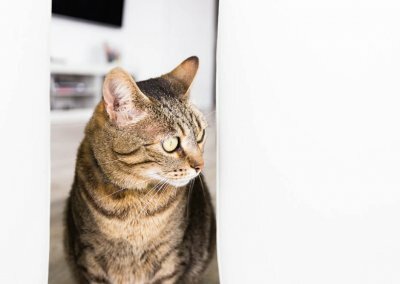 Video surveillance cameras: the feed from these cameras can be viewed directly from within the Loxone App, at any time. As well as this, if the Miniserver happens to lose connection with more than one of the cameras, it will alert the couple immediately. As two security cameras going down at once is certainly suspicious. Video intercom: this one device adds a remarkable amount of convenience to Jordi and Beatriz’s life. They can let anyone into their home from wherever they are, whether that’s in their kitchen or on the other side of the world. It doesn’t matter. 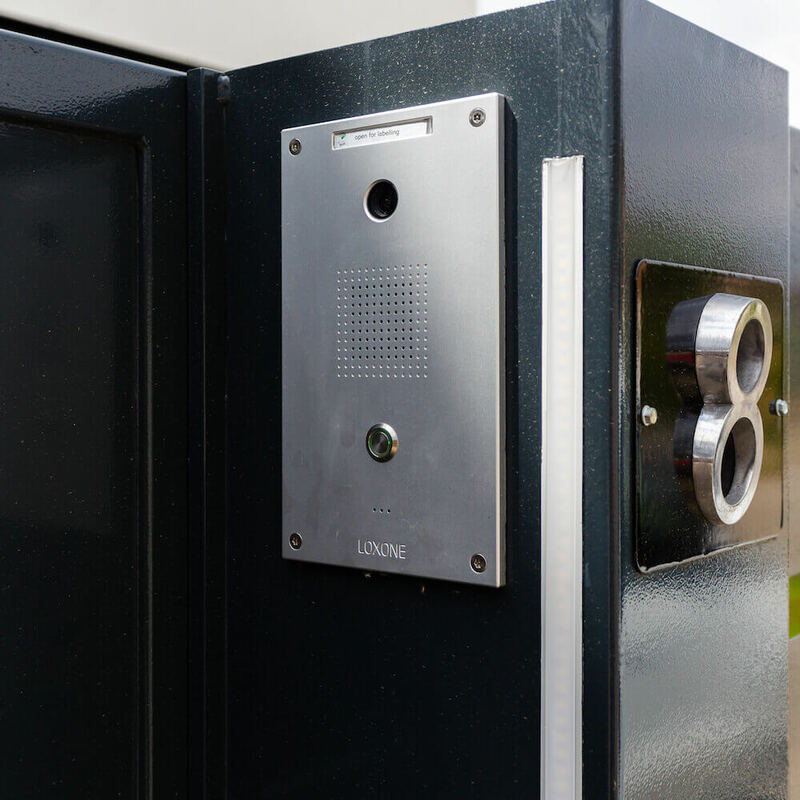 When the intercom is pressed they can see and talk to whoever is at the door from within the Loxone App. As well as this the intercom documents who’s been at the door by taking a quick picture, so the couple can look back at who popped round. Storm Protection: thanks to the Loxone Weather Station, this smart home knows when a storm is approaching. The home will play a voice message through the speakers just letting the family know that Storm Protection function is being activated. 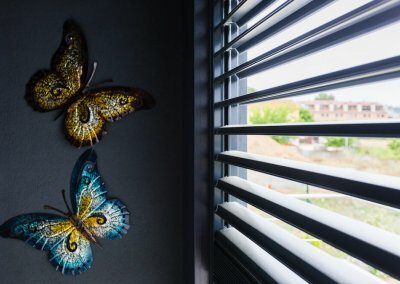 From this point, the external blinds will be automatically raised in order to prevent damage from high wind speeds, which means the family can carry on with whatever they’re doing. The main lights Jordi opted to used were the Loxone LED Tree Spots, both the RGBW and Warm White variant. 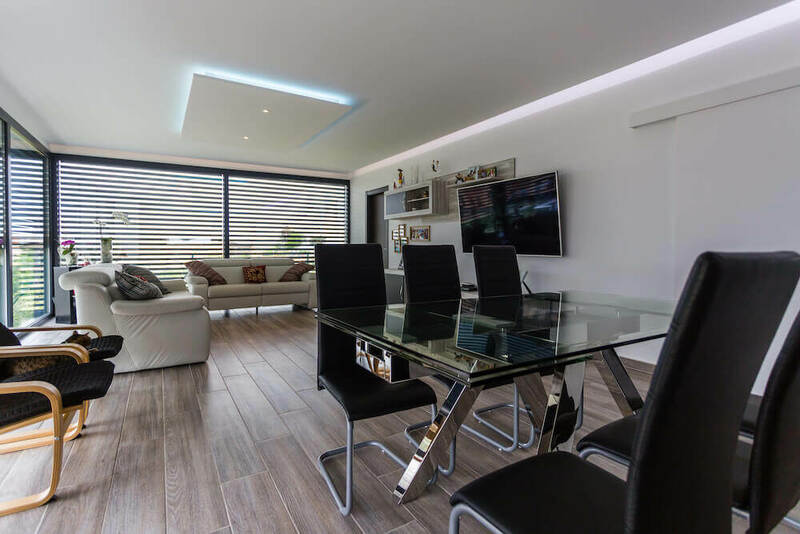 To complement the spots he also used LED strips to help diversify the lighting design – meeting the demands of accent, task and ambient lighting. 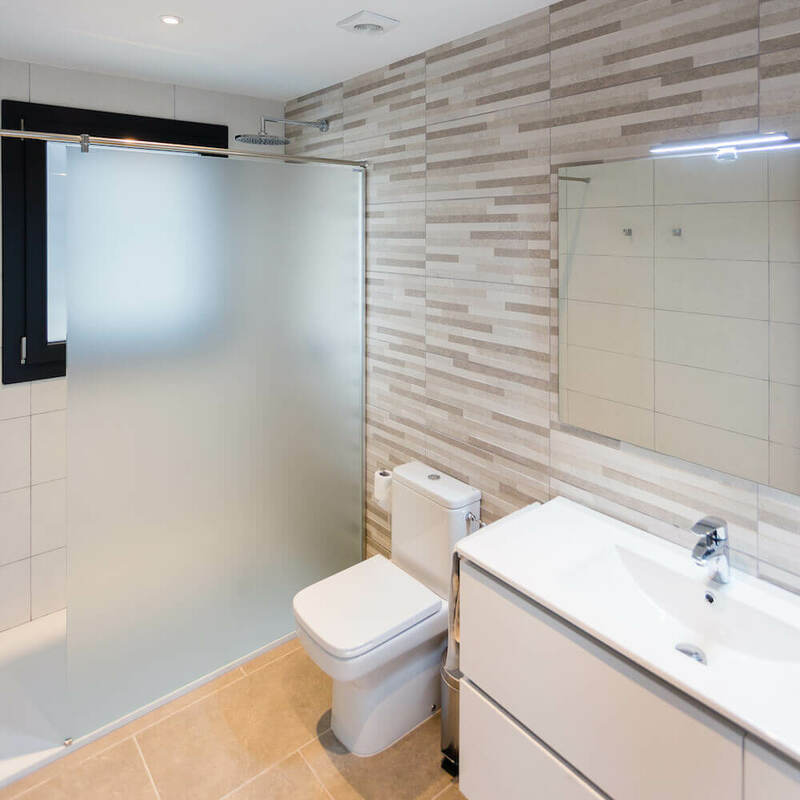 The beauty of using Loxone is that the installation process is much more efficient and ultimately quicker. This is because each Loxone product is connected via a single cable; our revolutionary Tree cable. 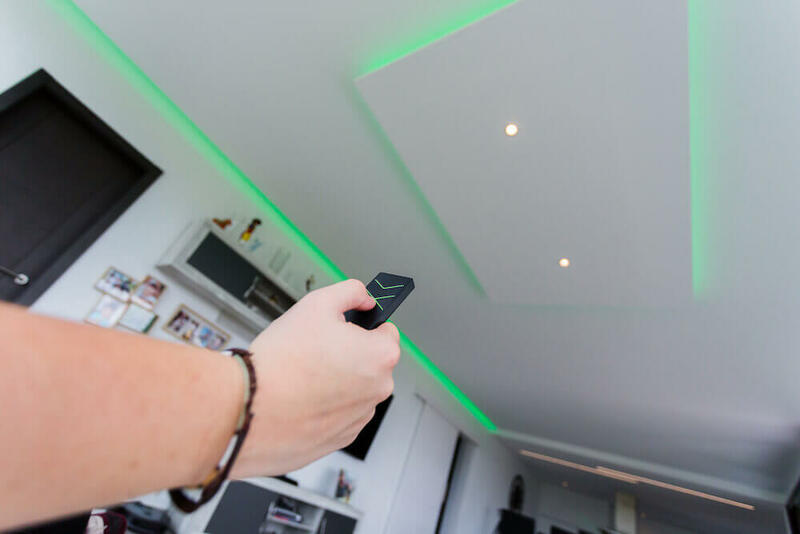 From Touch switches to motion sensors, all peripheral devices in this home are wired with Loxone Tree. With Tree lighting, you can group different lighting sources. This then gives you great flexibility when creating lighting moods in the Loxone app, as each individual section of lights can be set to a different colour/temperature. 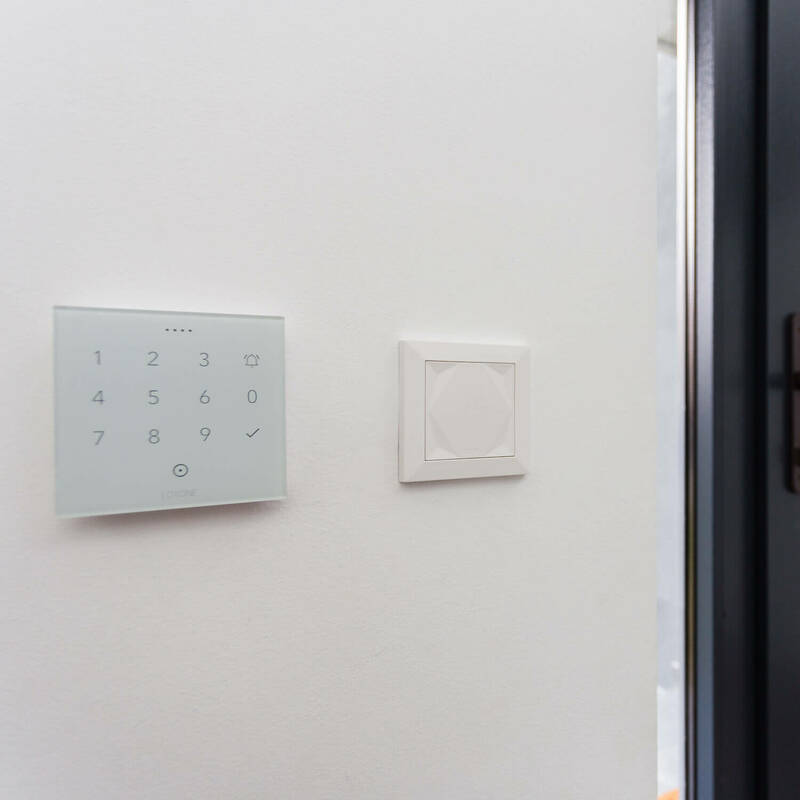 Loxone Touch switches have been installed throughout the house; all configured to meet the Loxone Switch Standard. This way all of the switches work in the same way, eliminating the need to learn multiple switch layouts. 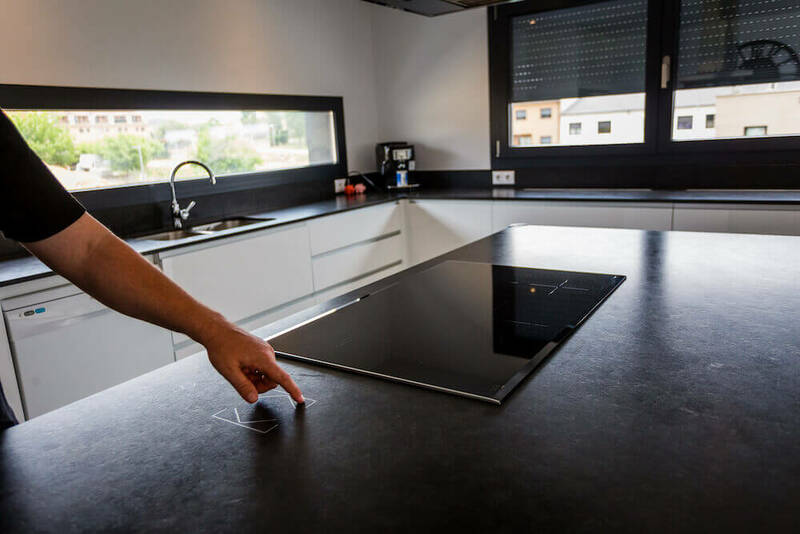 The Touch Surface, which adds a wow factor to any room, is installed in the kitchen. 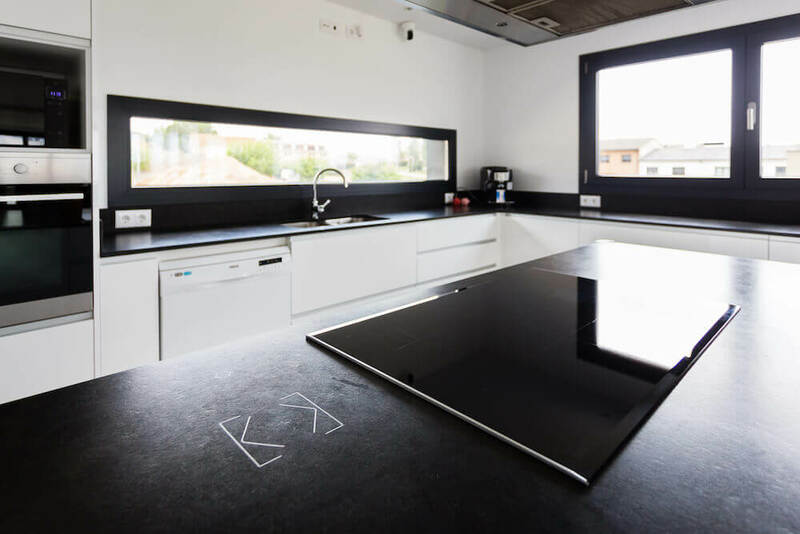 Seamlessly integrated into the worktop which means the family can control their blinds, lighting and audio all whilst cooking their dinner. With the Touch Surface, there’s no need to worry about constantly washing and wiping your hands before use. The technology is placed under the worktop, therefore, they’re perfectly fine to use it with wet or dirty hands. 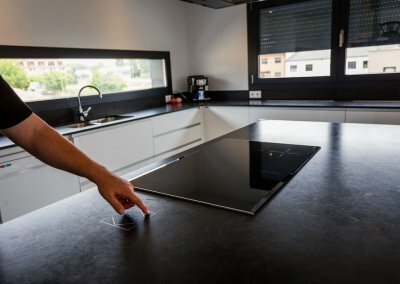 Also to avoid accidental taps, whilst preparing food for example, this Touch Surface requires a quick activation gesture before it can be used. Then once left untouched for five seconds, it will then deactivate. 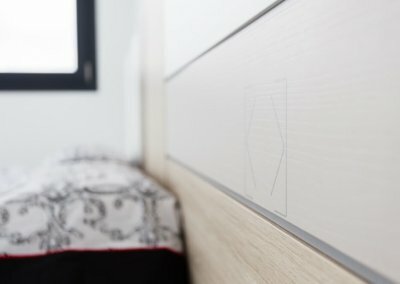 In the bedroom, a Touch Surface has also been beautifully installed into the headboard. From here, the whole room can be controlled. However, unlike the one in the kitchen, this Touch Surface does not require an activation gesture. This is due to the location of the switch, as the probability of accidental contact here is far less likely. This is just one example of the many ways in which Loxone can be individually customised to the user’s needs. The Remote Air gives the family added flexibility and functionality. It allows them to control a host of features all from a wireless remote. 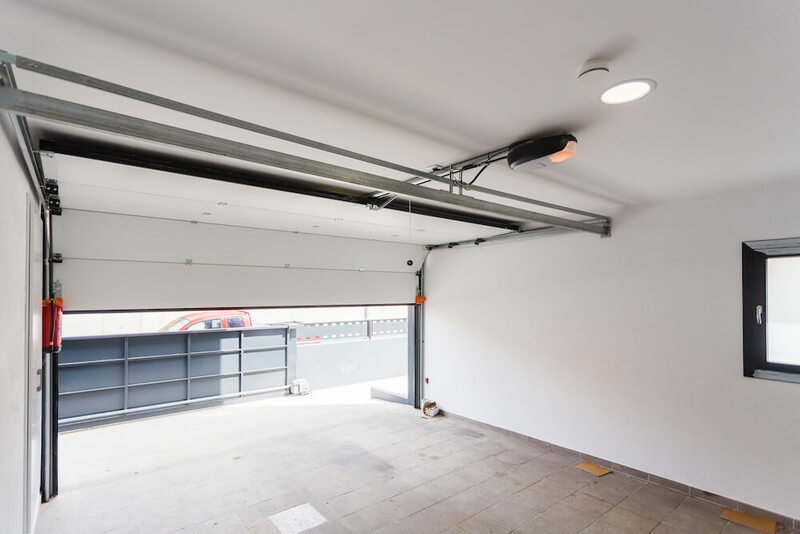 They have configured theirs to enable them to open and close their garage door and gate. 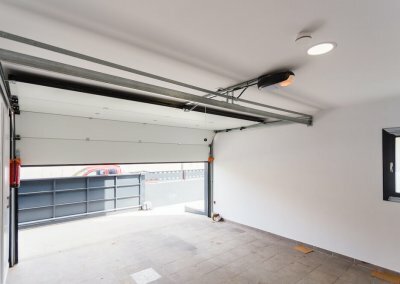 So when they get home from a long hard day at work they can get the car into the garage without having to leave the driver’s seat. 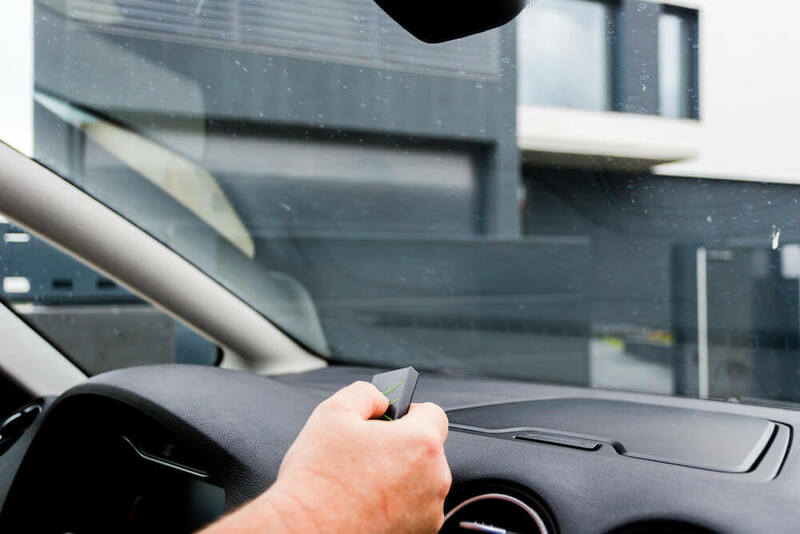 The Remote Air isn’t only handy for arriving back at the home, it makes leaving much easier too. Through a simple press on the remote they can set the ‘All Out Mode’. This activates the smart burglar alarm feature, which uses the motion detector, door handles and window contacts to detect any attempted entry. 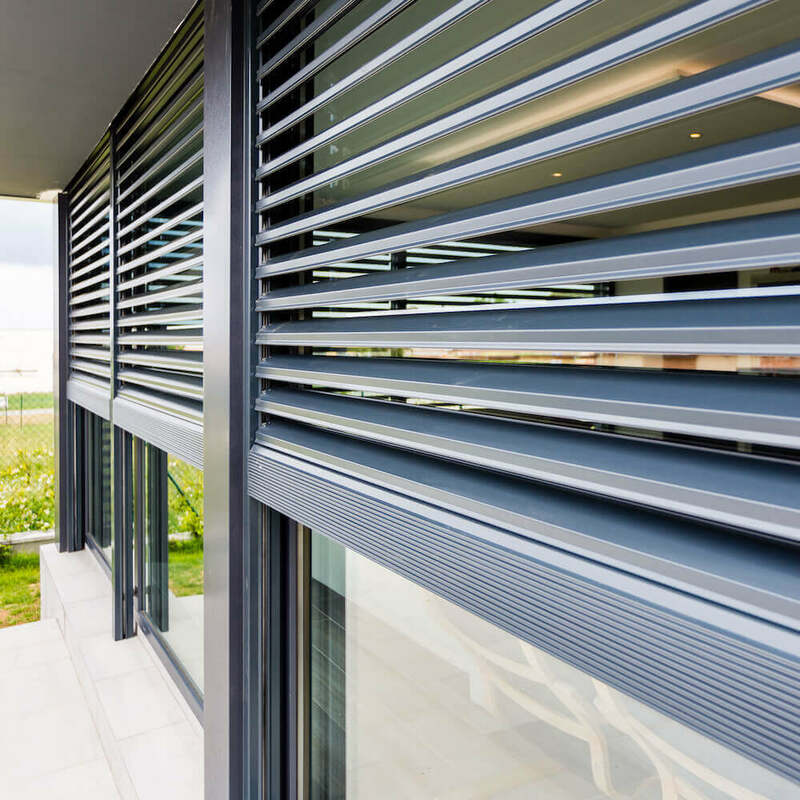 The blinds go into automatic mode, so they will open and close depending on the temperature and outside conditions. All the lights in the house are switched off. The system will warn the user if there are any open windows via a notification straight to their phone. When the ‘All Out Mode’ is successfully activated a notification will be sent as a confirmation of this. 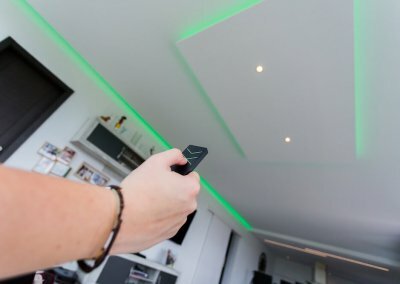 They also have a Remote Air in the main room of the house which allows the family to make quick changes to the audio, lighting and shading, all from the comfort of the sofa. 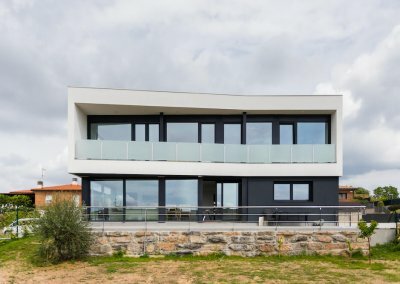 Although Jordi and Beatriz now live in one of the most luxurious properties around, they still have ambitions of adding to their home. Next up on their list is the garden. The construction of a swimming pool, along with a fully automated sprinkler system for the surrounding lawn, is being considered for the near future. They want to forget about the boring labours of maintaining a beautifully landscaped garden. Jordi plans to set sensors that detect the levels of moisture in the soil, so when it becomes too dry the sprinklers will engage. However, thanks to the Loxone Weather Station, when rain is imminent the process will be halted, in order to save water. HabiTech is a Loxone Gold Partner, located in Tossa de Mar.